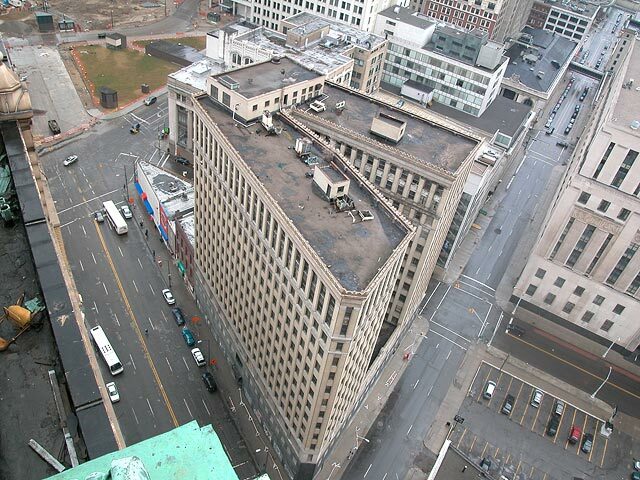 The V-Shaped Lafayette Building as seen from the roof of the Cadillac Hotel in 2003. In the upper left, construction of the now completed and highly regarded Campus Martius Park can be seen. This 2005 picture of the Lafayette Building, taken from in front of the now abandoned Free Press Building, shows its front at a time when it was famous for the trees growing from the its roofs. To its left can be seen the Cadillac Hotel and a portion of the now demolished Commerce Building. The rear of the Lafayette, with its sign, as seen from the across the acute corner formed by Lafayette and Michigan Avenues in 2006. 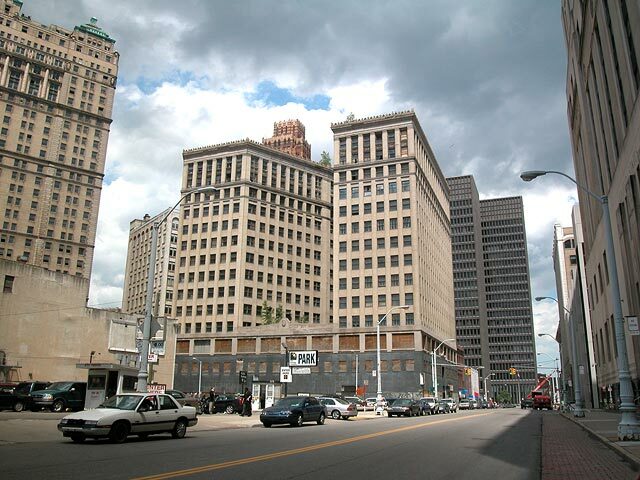 The now demolished Commerce Building, which served mainly as a billboard in its decades of abandonment is on the right, with the under-restoration Cadillac Hotel behind it. 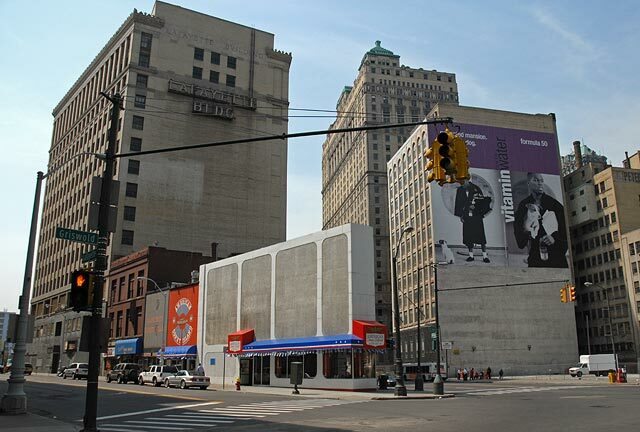 The low buildings forming the pie shaped corner in front of the Lafayette Building include the famous Lafayette and American Coney Island restaurants. 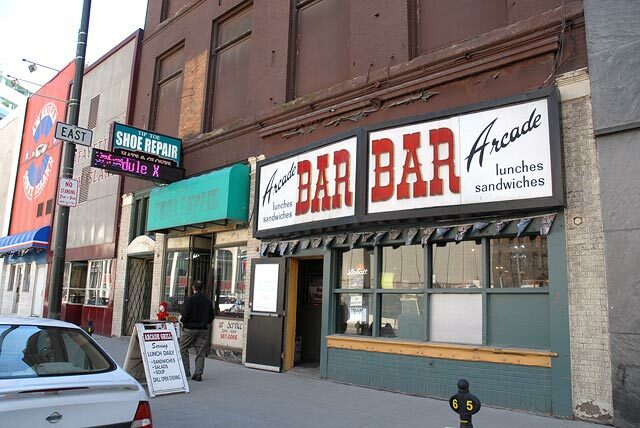 The two Coney's can be seen to the left of the Arcade Bar which, like the Lafayette Coney Island, has been in this location since the 1940's making them two of the few surviving businesses from that era.